After the first world war with the continuing increase in road traffic two further paddlers were built the William High/ Sir William High in1924 and the BL Nairn in 1929 The Harbour Trustees showed considerable foresight in fitting these ships with compound diagonal disconnecting engines so that the paddle wheels could be operated independently leading to a marked improvement in manoeuvrability. 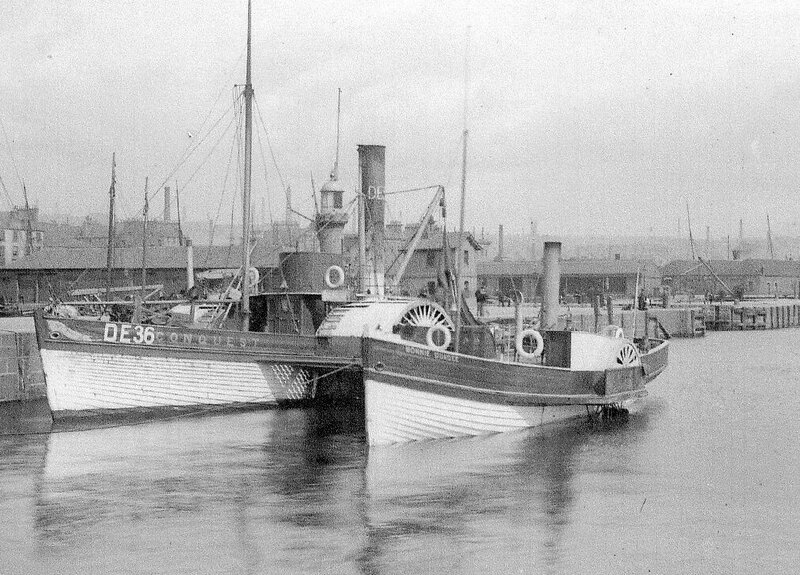 At the same time the services was increased to half-hourly requiring two ships to be on station at all times In the meantime the Dundee had been been disposed of in 1917 and the veteran Fifeshire finally in 1929 In the thirties after the demise of the Tay excursion steamers the spare steamer Newport was used to a limited extent for cruising but was retired in 1939 The last two Tay ferries the Abercraig (1939 ) and Scotscraig (1951 ) were twin screw diesels but also had an innovative feature that of Voith - Schneider propellers which though highly successful elsewhere did seem to cause spare part and reliability problems on the Tay with the result that after the withdrawal of Sir William High in 1951 the remaining steam paddler B L Nairn nominally spare boat seemed in fact to take quite a substantial share in the crossings right up to the opening of the Tay road bridge in 1966. So long as the ferries lasted the duration of each crossing was dependent on the tide. At high water after reversing the ferry could make virtually a straight line for Newport in about ten minutes but at low tide sandbanks had to be navigated and the journey could take twice as long The course of the new road bridge lay across this route so for last two years the sailings were tidal. 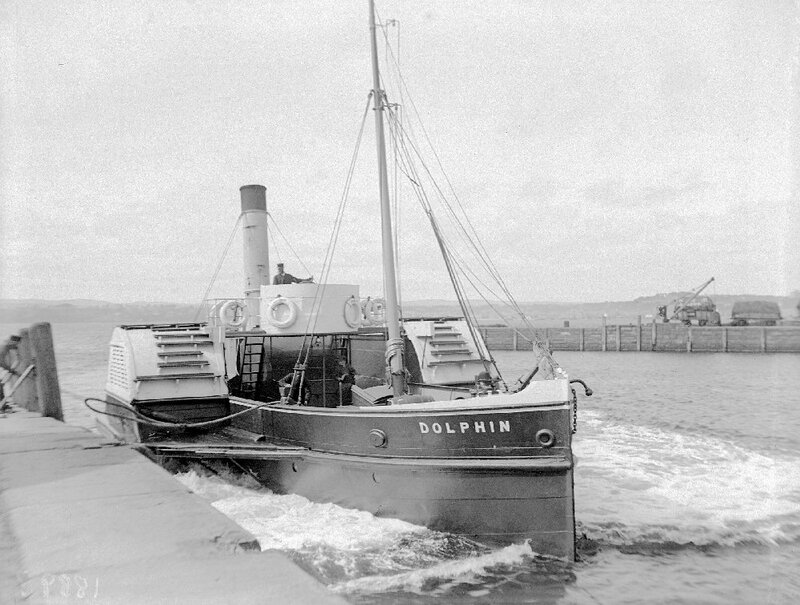 Transferred on loan to Messrs Denny from 1934 as spare for Queensferry When not in use was laid up in Burntisland harbour . This former workboat was used on the crossing until permission for abandonment was given in 1920. Some of the smaller ships even sailed up the tributary river Earn as far as Bridge of Earn. For this a shallow draught was essential and hence paddle steamers were favoured. 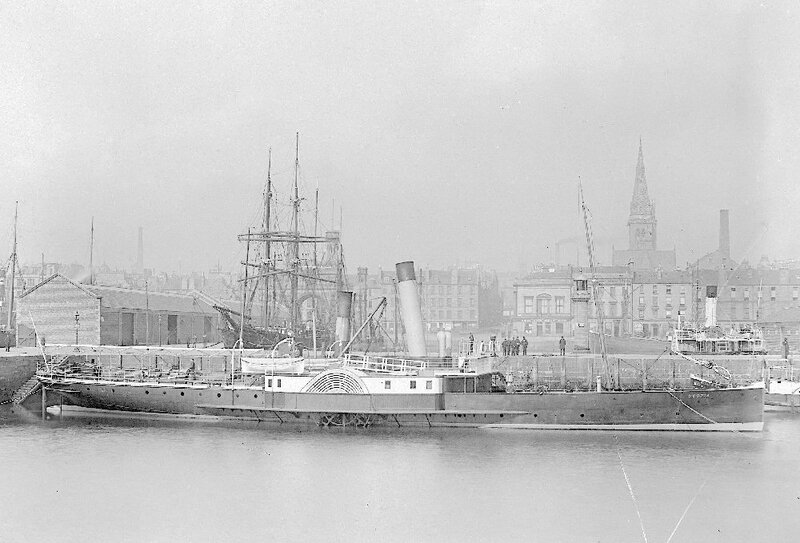 Between1909 and 1914 D & J Nichol operated two much larger steamers the Marchioness of Bute and the Slieve Bearnagh which made possible more extensive sea cruises to Arbroath, the Bell Rock, St Andrews and even further afield. On the outbreak of the first world war the ships and their trade disappeared and when restarted in 1917 was carried on with smaller ships and mainly to the upper firth . Built for Caledonian Steam Packet Co. Largest & finest Tay steamer to date. Sailed to Arbroath , Bell Rock and Perth. Like Carlyle and Alleyn she was a shallow draft paddler built for Thames local traffic and hence very suitable for upriver excursions.